Yep, it’s the green wool again, and there’s more where that came from! Such a cool colour though, right? 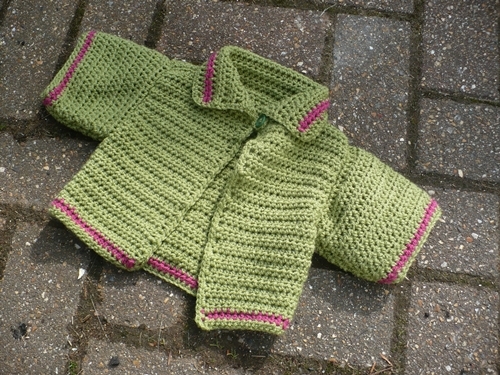 Here is a cardy I have made for Tinkerbell. Obviously I’m not about to name our as yet unborn daughter Tink, but Oscar is convinced we’re gonna call her his choice which is Tinkerbell Fairylights!